The boys and girls cross country teams were back in action last night at the Beech Grove Invitational. The girls’ team came home with a 3rd place team finish, earning a ribbon with their 81 points. Phoebe Dowty was up front again for the IC girls, working hard for her 2nd place finish, beating the 3rd place girl by a narrow step in a time of 12:53. Ella Taylor ran a consistent race, placing 2nd for the IC girls and 19th overall with a time of 14:39. 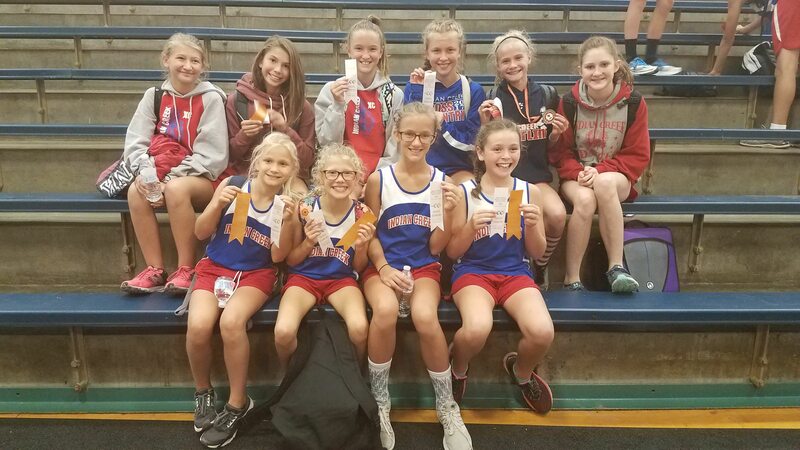 Lilly Swanson, Libby Dowty, and Gracie Werden all crossed the finish line next, placing 23rd, 24th, and 25th, respectively, earning ribbons for their top 30 finishes. Honorable mention goes to Chelsea Guernsey who placed 38th overall, running a season best time of 16:36.